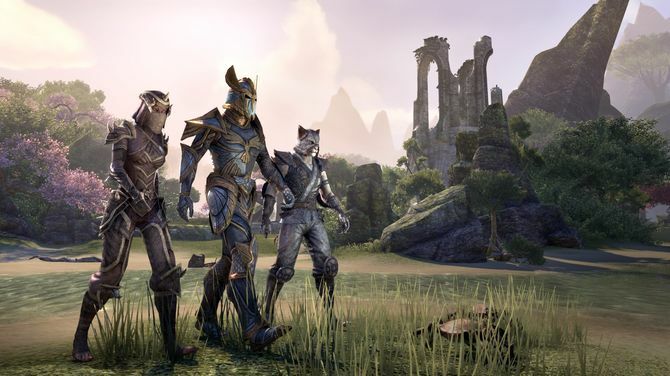 Here we show you some basic information about the new legal system of The Elder Scrolls Online - Unlimited Tamriel. - If you get caught, you get pushed open a bounty. The worse the offense, the higher the bounty. If have only a small bounty, you are advised only discredited and the guards will address it as soon as they are in your immediate vicinity. This only happens if you again steal something and let you catch. Steal more often and become caught, you rise to the outlaws. Guards will now follow you deliberately trying to kill. And if you then kill someone, it looks bad for you. Because then you have no more peace in front of the guards. They are looking for you, persecute and kill. So every crime has consequences. - If you follow the guards, they shall first put to task and ask you to pay your bounty. - However, you lose all stolen items in your entire inventory. You can watch "illegal" ransom of bounty, must stop the Thieves Guild. There you will keep your all the stolen items and bounty issued (for a fee). - Your can also, if you have enough picks about to break into a house and plunder. If you are going to do this beware that a guard is waiting for you already on the doorstep. So you should break at night and definitely stay in "stealth mode". - If you going quickly or the homeowner is alone, you can kill these too, so you can operate unhindered. The fence and what he can do for you! If you carry stolen goods with you, you will be arrested by a guard when you interact with them. So you could go unnoticed around with stolen objects, but there is a risk to be arrested and lose any stolen goods, if you don’t remember. 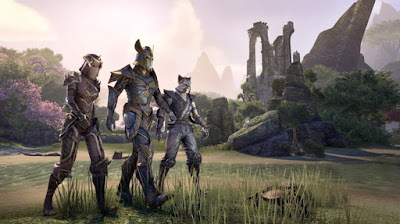 - For this there are the fence in TESO. This you will also find in the Thieves Guild. If you can sell stolen goods (which you can not in normal retailers), or you can move your booty, which your stolen items are no more than "stolen items" marked. - Bounty: Do you want to spend but no gold for paying your bounty, you can also simply wait a little. Because the bounty builds up over time. However, this process may take at a very high bounty for a long time. With the skill line lies and deceit, which can increase it by stealing from civilians or by opening locks, you'll get some interesting capabilities, which help you in this, your favorite activities (namely the claws) even easier to perform. For example, the Endurance cost of crawl can in this skill line can be reduced, improving the chance of a successful pickpocketing or increase the chance of success on the "automatic lockpicking".